Fastener element that guarantees a firm and safe joint in low resistance materials, such as plastic or wood. 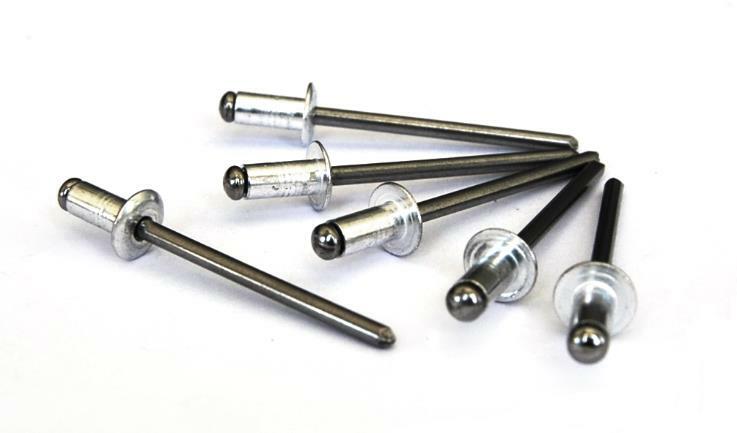 Bralo Soft Material Rivets are breaking-mandrel blind rivets. Their mandrel controlled force makes them ideal for the fastening of soft or brittle materials. They provide excellent torque values and are available in a 3.5 Aluminium / Magnesium alloy that increases their tensile and shear strengths. Ideally used in applications with soft materials or low resistance materials (plastics, fibre, wood). It does not deform surfaces after the riveting process is finished painted, glazed surfaces. Available in a 3.5 magnesium alloy. Fast, high quality and reduced cost assembly. Diameters: 4.0 mm., 4.8 mm. y 5.0 mm.